The Washington cardinal was the main celebrant of the Mass at the Cathedral of St. Matthew the Apostle. Several priests concelebrated the midday liturgy, which was attended by about 250 people. On Sept. 16, just as the workday began, a gunman went on a shooting rampage at the Washington Navy Yard, killing 12 and injuring at least 14 others. The FBI later identified the shooter as Aaron Alexis, a 34-year-old former naval petty officer who was a military contract worker. Alexis was killed after a shootout with law enforcement officers. All of the shooting victims were civilian employees at the Navy Yard or military contractors working there. No active military personnel were killed, but at least one D.C. Metropolitan Police officer and a Navy Yard security guard were among the injured. The Navy Yard is home to the Naval Sea Systems Command, which includes the headquarters of Navy command staff. The facility oversees the engineering, construction and maintenance of the Navy’s ships, submarines and combat systems. Early reports had suggested that there were one or two additional gunmen involved in the attack, but later police officials said that Alexis apparently acted alone. “Our prayer for healing is offered as well for whatever it is that fostered such a culture of violence, a culture of death,” he said. 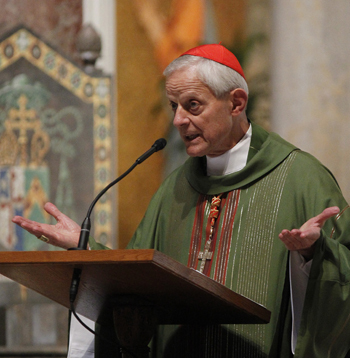 “Somehow we need, once again, in our country, in our land, in our nation, to foster that healing that comes only when we recognize there is a right and a wrong, that we are not free to kill,” Cardinal Wuerl said. A former State Department worker, he said the shootings were like deaths in the family for a city with so many government workers. 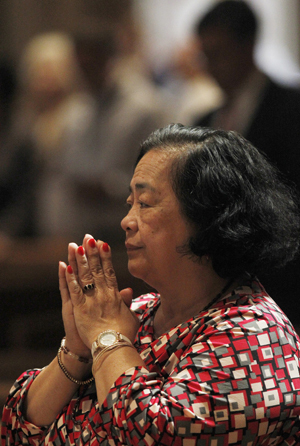 Pacheco said it is important for Catholics, as people of faith and as members of the community, to pray for consolation of surviving family members and friends, and to pray for healing for the community. Szczepanowski is on the staff of the Catholic Standard, newspaper of the Washington Archdiocese.